Quality Management System | Call Now (781) 949-3500 | Micron Corp.
Micron Corporation is an electronics contract manufacturer based in the northeast. By adopting this quality management system, Micron Corp. has made a strategic decision to improve its performance and establish a sound basis for future growth. This system is based on and complies with ISO9001:2015. Micron’s quality management system is designed to provide its customers with consistent products and services that meet their requirements and exceed their expectations. It employs a process approach to customer satisfaction. Our process facilitates opportunities to increase customer satisfaction while simultaneously managing the risk to those customers. It also provides a transparent means of demonstrating conformity to the standards and principles in the quality management system. Success in contract manufacturing can only be achieved through relationships built with customers and suppliers. Maintaining those relationships involves trust and loyalty between customers and suppliers. Loyalty and trust are built upon customer satisfaction that results from the value created by the supplier. With this in mind, every interaction with the parties involved are best viewed as an opportunity to create value. In this way a manufacturer’s success can be sustained towards the goals of increased revenue and market share. Quality management principles are the basic beliefs held by an organization that guide its actions. Seven quality management principles have been identified by ISO and are adopted by Micron Corporation. Each of these is stated below along with a rationale for its importance and the benefits that may accrue when the principle forms a basis for action. The primary focus is customer satisfaction which is directed towards the goals of attracting and retaining customers. These goals are to be accomplished by enabling the organization to continuously identify and exploit opportunities to create value. Opportunities are identified by first recognizing direct and indirect customers and then understanding their current and future needs. This understanding of the customers must be communicated throughout the organization if success is to be achieved and sustained. The focus must always be on the customers. Leadership plays a key role in accomplishing the quality objectives. Their role is twofold: They must create an organization-wide commitment to quality, while at the same time empowering individuals with the capability to follow through on that commitment. People must have an understanding of the mission in order to commit to it. Therefore, a simplified and inspiring vision must be communicated to the organization in a way that helps individuals understand the mission. Once the vision has been communicated and accepted the leadership must provide the resources required to accomplish the mission. Finally, leadership must give feedback that encourages value creating action and recognizes people’s accomplishments in this regard. People are the single greatest resource of any organization. Successful organizations identify and develop competent people and empower them to achieve their quality objectives. They must be engaged to establish and enhance the systems that ultimately create value for the customers. Promoting collaboration and facilitating discussion can help ensure continued engagement in the organizational mission. Self-evaluations and personal objectives are also ways of maintaining the focus of individuals within the organization. Personal satisfaction is as important to the organization as it is to the individual. Product and service quality become more predictable and consistent when improvements are based on a process approach. The outcome of an organization, its results, are best viewed as the product of a system of inter-related processes. Improvements made at one step in the process do not necessarily improve the outcome of the overall process. Process interdependencies matter, and they must be determined in order to analyze the effect of modifications on the overall process. A process approach is necessary to properly manage the risks associated with changes to the quality management system. Improvements are essential for the ongoing success of an organization. Changes to internal and external conditions should be viewed as opportunities to improve, and they are. They should be embraced and not resisted, especially when those changes are beyond the control of the organization. People should be trained to promote and complete improvement projects. These projects should then be tracked, reviewed, and audited. Improvements should even be considered during the development of new products and services. Improvements should be part of the process. Depending on the circumstances, decision making can be a complex process and oftentimes highly subjective. To the extent possible, organizations should use facts, evidence, and data to make decision making more objective. Make this information available to all people relevant to the decision and ensure that they are competent in its interpretation. Once a decision is made, measure and monitor key indicators to demonstrate the organization’s performance in light of those decisions. Use experience and intuition to balance the evidence based decision making. Organizations must manage relationships with all interested parties including customers, suppliers and employees. They must ensure that all interested parties have a common understanding of shared goals and values. By managing relationships well organizations can establish a stable supply chain. Micron has adopted a process approach for the development, implementation, and improvement of its quality management system. It has undergone a systematic definition of its processes followed by an analysis of the process interactions. This is in accordance with the strategic direction of the organization and the intended results of the quality management system. Managing those processes involves the use of the Plan-Do-Check-Act cycle in conjunction with risk-based thinking. Figure 2 is a schematic representation of the elements of a single process. This representation makes explicit the temporal relation of the inputs and outputs to the start and end of the process activities and shows that there are sources of the inputs and receivers of the outputs. Our process approach utilizes a cycle of Plan-Do-Check-Act and is based on the methodology developed by Walter A. Shewhart and refined by W. Edwards Deming. It is an iterative process that uses problem solving to enable innovation by helping create a culture of critical thinkers within the organization. The cycle can briefly be explained by describing each of the steps. Plan the expected outputs, targets, or goals and then establish the objectives and processes to deliver those results. Do, by implementing the plan and executing the necessary processes while at the same time collecting data. Check the actual results against the expected results and use the data to create actionable information. Act on the information by implementing the new processes if the measurements showed that desired results were achieved. The scope of this quality management system includes aspects of the business that are relevant to the interactions between three types of parties. The first party is Micron Corporation and includes all of its employees, executives, and owners. All customers of Micron, including future ones, make up the second type of parties. All potential suppliers to Micron constitute the third type of parties. This document specifies a system for the focus given, decisions made, processes implemented, and evidence assessed towards the improvement of interactions of these parties for the purpose of creating value. Customer and supplier are descriptions of positions within a supply chain of organizations. The same could be said of departments within a business. Some departments act as customers of other departments at certain times, and at other times the roles may be reversed. One might even take this down one more level within an organization and say that one employee acts as the customer of another employee who acts as supplier, and so on down the line. The terms customer and supplier are relative to the organizations considered, and can be applied at many different levels of the supply chain hierarchy. Each of the remaining sections of this document starting with section 4 focuses on certain levels of the supply chain. Section 4 on the context of the organization mostly focuses on the involvement of Micron in organizational supply chains. Sections 5, 6, and 7 on leadership, planning and support are more specific to the roles within the organization. Section 8 is about planning and refers to interactions both internal and external to the organization. Section 9 on performance evaluation and 10 on improvements have a scope that is very much within the organization. Economic Control of Quality of Manufactured Product, Walter A. Shewhart, D. Van Nostrand Company, Inc., New York, NY 1931. Statistical Method from the Viewpoint of Quality Control, Walter A. Shewhart, Dover Publications, Inc., New York, NY 1939. Six Sigma for Electronics Design and Manufacturing, Sammy G. Shina, McGraw-Hill, New York, NY, 2002. The Lean Six Sigma Black Belt Handbook, Tools and Methods for Process Acceleration, Frank Voehl, H. James Harrington, Chuck Mignosa, Rich Charron, CRC press, Boca Raton, FL 2014. The Six Sigma Handbook, Thomas Pysdek, Paul Keller, McGraw-Hill Education, New York, NY 2014. Guide to Quality Control, Kaoru Ishikawa, Quality Resources, Great Plains NY, 1988. ISO9001:2015 PowerPoint, Jim Saropoulos, Exolytic, 2015. The House of Quality, John R. Houser, Don Clausing, Harvard Business Review, May 1988. David A. Garvin, “Competing on the Eight Dimensions of Quality,” HBR November–December 1987, p. 101. Micron was incorporated as a business in 1982 and became Micron Corporation. From the beginning, the founders thought it obvious that they should be committed to creating value for each customer. It was very clear in those early years of providing a service on consignment that adding value, by completing assemblies, without waste, and on time, was more than just important: It was the best way to satisfy customers and maintain a profitable existence for owners and employees. Today, that clarity of focus remains as Micron continues to bring us together to achieve a discipline of excellence in all we do. This is still the vision of Micron Corporation. The purpose of Micron Corporation is to create value for customers by providing employees with a safe place to do the work required. Micron is a niche player in the highly diversified industry of electronics manufacturing services. Micron is classified as a Tier 5 company based on revenues according to the five tier system put forth by IPC. By this measure, it is part of the 20% of EMS providers in the northeast that have less than $10M in annual revenue. There are good opportunities to gain market share within this niche by outperforming competitors in the same tier. Small percentages of the market can amount to large increases of individual market share within this Tier. A system for implementing innovative quality improvements is the best basis upon which to create a marketing strategy with the goal of increasing market share. By showing potential customers how we’re getting better at what we do, we can attract and retain more customers. The standards organization for electronics manufacturing is IPC. They set the minimum standards for different industry classifications. This quality management system implements those relevant IPC standards into an ISO approved management system. Micron Corporation is an electronics contract manufacturer (ECM). ECMs are service organizations that manufacture electronic assemblies. More particularly, we solder together the components of their customer’s assemblies using bills of materials, Gerber files, rework procedures, and other communications with the customer to guide the process. We often procure all the components, including the PCBs, at the beginning of the process. At the end of the process we must coordinate delivery of product. In between procurement and delivery a host of activities are involved, including: component preparation, THU component placement, hand soldering, stencil printing, SMT component placement, reflow soldering, wave soldering, cleaning, automated inspection, inspection by eye, programming, testing, packaging, labeling, and many others. ECMs procure separate parts and then deliver completed assemblies to their customers. We are manufacturing extensions of original equipment manufacturers (OEM). Micron Corporation is a business that sells to OEMs that sell to a mix of other OEMs and end-user organizations. It supplies electronic assemblies into a supply chain that culminates in the sale of electronic equipment to another business. Building those electronic products involves a myriad of individual process steps, and sundry organizational procedures. This complex set of services is packaged and delivered through a fairly complicated management system to a host of customers. Micron customers are mostly industrial customers. They branch out into many different industries including semiconductor production, blood characterization, radiation monitoring, ozone maintenance, time measurement, temperature control, gas reclamation, remote sensor actuation, and cellular communications. Our industrial customers build products that measure and/or deliver information for use in industrial applications. Most Micron customers have several different assemblies being built for them within any one time period, often in small to medium volumes, depending on customer needs. This demand is supplied by accommodating a high mix of assemblies at low volume. Micron is in a high mix – low volume niche within the electronics manufacturing industry. Micron Corporation is an ECM servicing OEMs in a high mix – low volume industrial business supply chain that includes electronic parts suppliers. That is the context of our organization. Employees, suppliers, and customers are the most interested parties for Micron. There are other parties of interest, including financial partners, insurers, regulatory agencies, standards organizations, and more. But the most interested parties are employees, customers, and suppliers. The needs and expectations of the organization are mostly set by the relationships between these three groups. Employees are the lifeblood of the organization and they require a safe place to work. They are actively involved in the business of creating value for our customers, and deserve our full support. That support is built into the system through our commitments. Customers want their products delivered on time, at low cost, without mistakes: And so does Micron, both in regards to its customer obligations and to its expectations of suppliers. Those are the three basic needs fulfilled by suppliers to meet the expectations of their customers. These are the needs and expectations of the interested parties. And we expect the same of our suppliers. These are the most significant needs and expectations of the interested parties. Assemblies must be free of manufacturing defects. They should be delivered on time, according to customer expectations, even as those expectations change over the duration of the project. And this should be done at minimum cost. In addition to these three expectations, there are other needs involving the relationships themselves. Each customer has a different need for the amount of communication required from its suppliers. Some prefer not to hear from the supplier unless there’s a problem. Others would like to be kept up to date, especially as due dates are approaching. Some customers, especially those with a new product introduction (NPI), want to visit often, be kept up to date daily, and be present at time of completion. Each grouping expects a different amount of communication with the supplier. They all expect that their communications needs will be met. To the list of three expectations involving time, cost, and errors we add the need for communication between the customer and supplier. Figure 1 is a Quality Function Deployment (QFD) based on the above stated needs and expectations. It is a mapping of customer requirements to design of service requirements. The conclusion taken from the QFD is that quality is the number one requirement specified by Micron’s customers. All services of Micron Corporation are part of the scope of this quality management system. Interactions between this organization and other organizations within the industry described in Section 4.1 also fall under the scope of this system. Needs and expectations of the interested parties as described in Section 4.2 lie within the scope of this QMS. All leadership and planning decisions that are relevant to employees, customers, and suppliers are within the scope of this quality management system. All operations and support required to deliver the services listed in Figure 3 fall under the scope of this system. Evaluations of management, employees, and suppliers are in scope. Improvements that are relevant to this system fall under the scope of this quality system. Key inputs and outputs of these functions will be documented and maintained. This quality management system is designed to conform to International Standard ISO9001:2015. Micron Corporation shall apply all the requirements of this International Standard, if they are applicable, within the stated scope of this quality management system. The scope of this quality management system shall be available and be maintained as electronically documented information. Figure 3 is a list of the services provided by Micron Corp. and covered by this QMS. retain documented information to have confidence that the processes are being carried out as planned. This QMS establishes the processes and their interactions as required by the Standard. Having been implemented it will be maintained and continually improved. The following is a list of eight different specifications and actions that allow for the Standard to be implemented. improve the processes and the quality management system. Figure 4 is a list of the operations required to deliver the services listed above and the departments that perform them. Notice that sometimes several different types of measures are used for inspections of each operation. These specify where the assembly criteria are enforced and they provide the method for controlling the operation. The departments are the resources needed for any given operation and as such assume the responsibility and authority for it. Figure 5 is a summary of the inputs and outputs to each operation. The word Parts is used to refer to either surface mount or through hole parts. SMT is used to refer to surface mount parts and THU is used to refer to through hole parts. On the inputs side, the ampersand (&) designates that items are to be combined somehow. On the output side, the combined items are “on” to specify there being adjoined or “soldered on” to indicate a solder joint has been formed. Figure 6 is a table of operational sequences for each type of service. The PCB Assembly sequence shown is for a double sided SMT and THU panelized assembly executed turnkey with programming and testing, PEM nuts pressed in, and labeling. Other types of PCB Assemblies are mostly subsets of this one, unless a new type of service is involved. On the other end of the table is the service of Delivery, which (as specified) entails only one operation – Shipping. Figure 7 is a diagram of the interactions of operations. Positive and negative interactions are presented in levels of either weak, medium, or strong. Figure 8 is a table of risks that exist between Micron and each of the three main parties invovled. Risks are listed according to the different sections of this manual: context, leadership, planning, support, operations, performance, and improvement. Figure 9 is a list of opportunities that exist for Micron in terms of improvement of existing services, potential new services, and potential products. includes a commitment to continual improvement of the quality management system. be available to relevant interested parties, as appropriate. Quality is the most important service requirement for shaping relationships with our customers. The primary goal of our quality management system is to continuously improve the quality of our services so that our customers are better served. To achieve this goal, Micron has determined the context of the organization, has made committments based on that context, and has set objectives consistent with those committments and the primary goal of continuous improvement. Our quality policy is constructed on the basis of a modified Ishikawa cause and effect approach. In this policy, a system of defects is based on four sources of defects, labeled as the 4Ms. While many include five or six Ms in their approach, this policy is based on four with the other two being subsets of those four. Micron Corporation is committed to providing a safe and healthy environment for all employees. Micron is committed to satisfying the needs of customers and exceeding their expectations. Micron is committed to managing the success of suppliers. Micron is committed to continuously improving the quality management system. Micron is committed to complying with environmental considerations as given by state and federal regulations, and local community norms. Micron has found quality to be the single most important service requirement mandated by our customers and consistent with the context of the organization. See Figure 1. Quality Function Deployment. 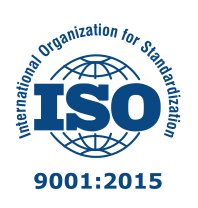 As a direct result of this, Micron has chosen to adopt ISO9001:2015 as the framework for implementing its quality management system. This system is consistent with the strategic goal of growth and conforms with ISO9001:2015.
manage the success of our suppliers. If any of these three commitments are found to be violated by the pursuit of an objective, that objective will be reviewed and changed. Quality objectives will be directed towards one of six key process inputs. These six inputs are listed below. These are known, in some cirlces, as the 5Ms of manufacturing. Quality objectives will be measurable. Measurements may include performance criteria, first pass yield, frequency of submission, documents retained, periodic calculations, percentages, or any other observable measure that is deemed appropriate. Quality standards will be based on IPC Standards, whenever possible, to measure the quality of operational outputs. DPMO calculations will be based on IPC-7912A, January 2004, and IPC-9261A, October 2006. Adjustments to these standards will be made when necessary to better measure the quality of our services. ensuring that the integrity of the quality management system is maintained when changes to the quality management system are planned and implemented. CEO will approve or disapprove the quality management system. President will set and approve quality goals. VP of R&D will set and approve quality objectives based on quality goals. VP of Marketing will approve or disapprove quality objectives and quality goals. Department heads will help set and approve departmental objectives. Employees will approve personal objectives. President is responsible for ensuring customer focus and delivering intended outputs based on customer interactions. VP of Marketing is responsible for ensuring that the quality management system is meeting commitments and fulfilling objectives based on social media. VP of R&D is responsible for reporting on and improving the quality management system based on measures of performance. Department heads are responsible for departmental performance. Employees are responsible for their own performance. President has the authority to set goals. VP of Marketing has the authority to approve or disapprove of goals and objectives. VP of R&D has the authority to set objectives. Department heads have the authority to supervise departmental employees. Employees have the authority to stop any operation or procedure based on responsibilities. evaluate the effectiveness of these actions. Establish quality objectives at relevant functions, levels and processes needed for the quality management system. The organization shall maintain documented information on the quality objectives. Minimization of errors is the primary goal of our quality objectives. Each department has an objective that is based on the overall number of opportunities for errors. Each of these objectives will be reviewed biannually. These objectives will be revisited semiannually by management to determine if any changes are needed. The only steps relevant to quality objectives are those that add value. Step groupings as defined in Figure 6. Operational Sequences form the basis of these value added steps. Setup, Inspection and Rework are considered for each value added operation step (Figure 2. Elements of a Single Process), but are not necessarily listed as separate operations. All departments are also subject to other periodic evaluation in terms of errors made, time required, money spent, and communication effectiveness. Such evaluations will be made as initiated by customer or supplier feedback and as deemed necessary by management. The opportunities for errors used in each department’s objective will be based on the following numbers. OFC – Objectives for the Office department will be based on the number of employees, customers, suppliers, assemblies and orders. PRCH – Objectives for the Purchasing department will be based on the number of unique components on every assembly. 1MY – Objectives for the Primary department will be based on the number of assemblies in a batch, the number of unique components on an assembly, the number of placements on an assembly, and the number of masked terminations on an assembly. 2NDY – Objectives for the Secondary department will be based on the number of assemblies in a batch, the number of unique components on an assembly, the number of placements on an assembly, and the number of terminations on an assembly. SMT – Objectives for the Surface Mount Department will be based on the number of assemblies in a batch, the number of unique components on an assembly, the number of placements on an assembly, and the number of terminations on an assembly. P&TLB – Objectives for the Programing and Testing, Labeling and Boxing department will be based on the number of assemblies in a batch. WWT – Objectives for the Wave/Wash/Trim department will be based on the number of assemblies in a batch, and the number of terminations on an assembly. QC – Objectives for the Qulaity Control department will be based on the number of assemblies in a batch, the number of unique components on an assembly, the number of placements on an assembly, and the number of terminations on an assembly. MGMT – Increase revenue by at least 7% year over year, add at least 3 new customers every year, maintain Micron as a going concern. OFC – Increase employees by at least 2 people each year, increase customers by at least 5 every year, hold suppliers steady at 50, maintain assemblies at 200 per year, and consolidate orders to a minimum. PRCH – Procure 750 components with less than one mistake. Track every unique component on at least two supplier sites. 1MY – Place components and mask terminations at an error rate less than 0.1%. 2NDY – Place and solder components at an error rate less than 0.2%. SMT – Print, place, and profile at an error rate less than 0.3%. PTLB – Program, test, label, and box at an error rate less than 0.4%. WWT – Wave, wash, and trim thru-hole assemblies, and wash and depanel SMT assemblies at an error rate less than 0.5%. QC – Check for placement and orientation of components, inspect solder joint of each termination, verify PCB labelling, and package for shipment at an error rate less than 0.6%. Departments will perform within a 3 sigma specification based on a measure of parts per million of items processed for each step of every assembly worked on. Each individual within a department will perform within a 4 sigma specification based on a measure of defects per million opportunities. All steps and procedures performed by an individual within a 5 sigma specification based on a measure of personal CAR per components placed by the individual. the allocation or reallocation of responsibilities and authorities. This section covers the support required for the quality management system. It includes identification of resources, methods for the determination of competence, specification of items requiring increased awareness, and determination of relevant communication. People are the primary resource allocated for support of the QMS, both from within Micron and from external organizations. In addition to people, support requires various other inputs including procedures, parts, tools, and facilities. These are also considered resources. Here is a list of the resource categories specified for support of the QMS. Specify, provide and maintain the infrastructure for required processes. Infrastructure includes the following items. Determine, provide and maintain the environment necessary for the operation of its processes and to achieve conformity of products and services. physical (e.g. temperature, heat, humidity, light, airflow, hygiene, noise). Determine and provide the resources needed to ensure valid and reliable results when monitoring or measuring is used to verify the conformity of products and services to requirements. are maintained to ensure their continuing fitness for their purpose. Appropriate documented information as evidence of fitness for purpose of the monitoring and measurement resources shall be retained. safeguarded from adjustments, damage or deterioration that would invalidate the calibration status and subsequent measurement results. Determine if the validity of previous measurement results has been adversely affected when measuring equipment is found to be unfit for its intended purpose, take appropriate action as necessary.